A prime portrait-length lens characterized by its complex Planar construction, the Nikon F mount Milvus 85mm f/1.4 ZE Lens from ZEISS features a fast maximum aperture along with a unique spherical design to produce especially smooth bokeh for selective focus applications. The Planar design incorporates seven anomalous partial dispersion glass elements to nearly eliminate chromatic aberrations and other distortions for clean, well-corrected imagery. 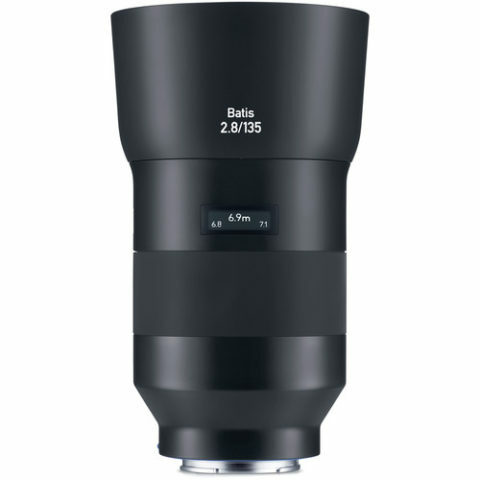 A floating elements system is also used, for consistent performance throughout the focusing and aperture ranges, in order to achieve even sharpness and clarity. An enhanced ZEISS T* anti-reflective coating has also been applied to significantly reduce ghosting and lens flare for improved contrast and color fidelity when working in difficult lighting conditions. Its manual focus design is complemented by a rubberized focus ring for fine-tuned, precise control over your focus position. 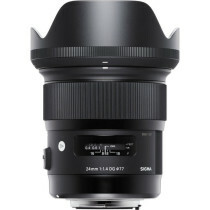 This ZE lens also features a manual aperture ring that can be manually de-clicked for silent, stepless switching between aperture setting to benefit video applications. 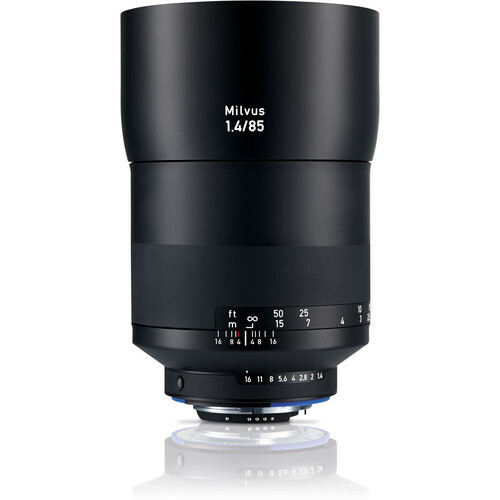 Additionally, Milvus-series lenses also feature an equally aesthetic and durable frosted, anodized metal lens barrel surface along with a weather-sealed construction to protect against dust and moisture. 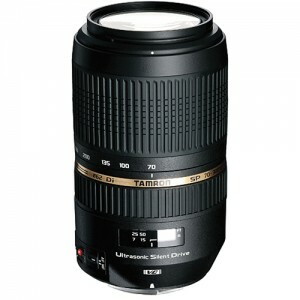 This 85mm f/1.4 lens is designed for FX format Nikon F mount DSLRs, and can also be used with DX models where it will provide a 127.5mm equivalent focal length. 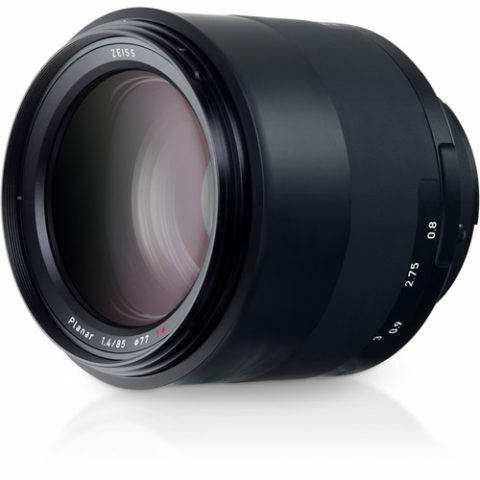 Fast f/1.4 maximum aperture benefits working in low-light conditions and also offers extensive control over depth of field. 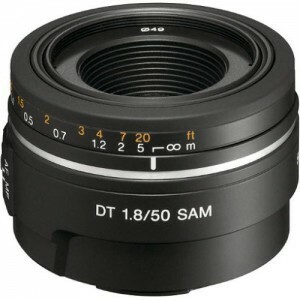 Complex Planar optical design features seven anomalous partial dispersion glass elements to significantly reduce chromatic aberrations for increased sharpness and clarity. Unique spherical design produces an especially smooth quality of bokeh to benefit portraiture and selective focus applications. The manual aperture ring has clicked indicators throughout aperture range. Using the included De-Click Tool, this ring can be mechanically ‘de-clicked’ for smooth, silent rotation throughout the aperture range; making it ideal for video applications.